The League of Women Voters of Saratoga County conducts debates and candidate events to provide an opportunity for the public to hear candidates discuss issues and answer questions face to face. Be sure to come check out and support YOUR local candidates at the times and locations below! All candidates on the ballot for Town Supervisor, Town Council and Justice are invited. The event is open to all members of the public and the media. The event will be divided into three segments, with the Justice Candidates going first from approximately 7:00 until 7:15 pm, the Town Council candidates from approximately 7:15 pm until 8:15 and Town Supervisor from approximately 8:15 until 9:00 pm. Please note it is League policy that when only one candidate for a race is available, that candidate may not participate in the event. This includes candidates running unopposed or when the other candidate does not attend. The candidate is welcome to attend the event, be introduced and speak with members of the audience after the event is over. All candidates on the ballot for Town Supervisor, Town Council, Highway Supervisor and Justice are invited. The event is open to all members of the public and the media. The event will be divided into four segments, with the Justice candidates going first, followed by Highway Supervisor candidates, then Town Council candidates, finishing with Town Supervisor candidates. Please note it is League policy that when only one candidate of a race is available, that candidate may not participate in the event. This includes candidates running unopposed or when the other candidate does not attend. The candidate is welcome to attend the event, be introduced and speak with members of the audience after the event is over. Please note it is League policy that when only one candidate for a race is available, that candidate may not participate in the event. 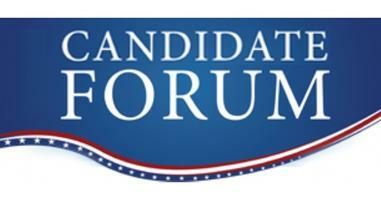 This includes candidates running unopposed or when the other candidate does not attend. These candidates are welcome to attend the event, be introduced and speak with members of the audience after the event is over. All candidates on the ballot for Mayor, Public Safety, Supervisor and Judge are included. The event is open to all members of the public and the media. The event will be divided into four segments, with the Judicial candidates going first, followed by Public Safety candidates, then Supervisor candidates, finishing with Mayoral candidates. Please note it is League policy that when only one candidate of a race is available, that candidate may not participate in the event. This includes candidates running unopposed or when the other candidate does not attend. These candidates (e.g. Anthony Scirocco, John Franck, Michele Madigan) are welcome to attend the event, be introduced and speak with members of the audience after the event is over. All candidates on the ballot for Town Supervisor, Town Council, Justice and Highway Supervisor are invited. The event is open to all members of the public and the media. The event will be divided into three segments, with the Justice Candidates going first, followed by Highway Supervisor candidates, then Town Council candidates and finishing with Town Supervisor ending at approximately 9 pm. Super easy to stay informed – Use TurboVote! 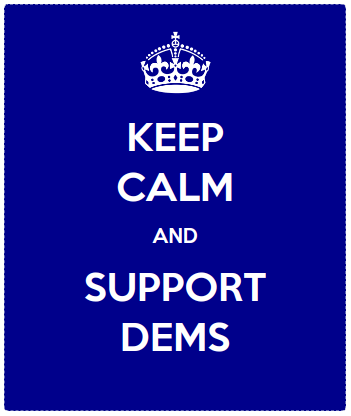 Think Local… Support the Democratic Candidates in YOUR Town!